Robert A. M. Stern (1939-) is a renowned American postmodern architect and architectural historian. 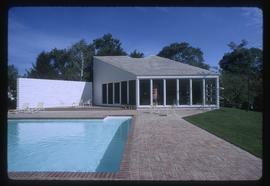 He is the the founder of the firm Robert A. M. Stern Architects, which was established in 1977 in New York City. From 1969-1977, Stern was partnered with fellow Yale alum John S. Hagmann at their firm Stern and Hagmann.